With everyone’s university offers now rolling in and exams just a mere month or two away, it’s time to start looking for that new, student friendly laptop. It needs to be light and portable, but have enough memory to store all those uni notes. It must be fast and user-friendly, with a large battery to last the full day. It must have the latest apps and gadgets as, let’s be realistic, all teenagers want this. But you know what’d be great? A laptop that ticks all these boxes without breaking the bank. We’ll be taking a look at the 2016 HP 14 G4 Chromebook, a Lenovo YOGA Book 10, 2016 Acer R 11 Convertible Chromebook, the 2015 ASUS Vivobook E200HA and the HP Stream x360. This HP Chromebook comes in at £307.20 from HP’s official online site, so could be found cheaper elsewhere. With a 14 inch screen size it isn’t the smallest device, but it’s not too bulky and large that it loses it portability. This 14 inch screen houses a 1,920 x 1,080 display and an Intel HD Graphics chip that offers a crisp, clean picture for all those times you or your child is ‘working’ hard (with Netflix). It has a 1.83GHz Intel Celeron processor – which in basic terms means its fast, loading programs and webpages (with a decent Wi-Fi) shouldn’t be an issue for this device. It has 16GB of storage and 4GB of RAM. So this may not be the best device for saving important documents or dissertations. With an external hard-drive or access to a Cloud storage such as One Drive, this is easily resolved. With 3 USB ports, a HDMI port, micro SD slot and headphone jack, there’s plenty of opportunities to download one file whilst saving a document to another. The Chromebook claims an 8 hour battery life, more than long enough for any lecture. However, upon use and practise, this isn’t necessarily the case. This quote clearly depends on age and usage. However it will have no issues when it comes to dissertation time. A great feature of this device is how quiet it is. There’s no fan and so there’s no noise. In a silent lecture hall you needn’t worry about your device whirring away attempting to cool down. From the official Lenovo site the Android edition of the YOGA Book 10 goes for £349, whereas the Windows edition goes at £449. The only difference between them is the operating system. Whilst the Windows edition works off of the new Windows 10 Pro the Android Edition works on their equivalent ANDROID 6.0. This device is fantastic for any art or design student and it’s 2 in 1 capabilities make it like a cheaper version on the Microsoft Surface Books. The keyboard is located on a touch screen and is therefore interchangeable with the ‘creative screen.’ This allows for drawings, art and graphic designs to be completed digitally with the same finesse that a pen and paper gives you. In terms of specs, the YOGA book has a 64GB memory and 4GB RAM storage. Allowing plenty of room for saving important designs. One great feature with the YOGA Book, especially for a student, is its ability to digitize notes. By taking paper notes on one site of the Lenovo, the screen will show the notices in digital form, making them accessible with all other typed university notes. The battery boasts up to 15 hours usage, but again in practise this likely to be different. With usage of devices varying upon the user, this can’t be taken as accurate. However, regardless it has enough battery life to last a day of lectures. Its 10.1 inch screen is much smaller than that of the HP Chromebook previously mentioned, therefore a more portable device. A screen resolution of 1920 x 1200 gives for an even clearer display. The device features an 8 MP rear camera and 2 MP front facing camera, still giving the ability to video call. The internal power of this device is where it’s lacking and you may find other devices are faster. For what the 2 in 1 hybrid laptop is offering, it has a way to go with supporting these features sufficiently. Nevertheless for students stuck between a tablet and a laptop, this is your best middle ground. For those who like features of the HP Chromebook as well as features of the Lenovo YOGA Book, this Acer R11 Convertible Chromebook is the middle ground. This device comes in at £249 on the Acer sales site and for what you get is really rather worth it. This device has a sleek, almost Apple like, design, without the whopping price tag. It’s small and compact, at 11.6 inches, and fairly light weight, making it perfect for popping in a uni bag. The Acer R11 also features a front facing webcam for the all-important Skype calls home. The Acer runs on a Chrome operating system and therefore isn’t as powerful as say iOS or Windows 10, but its. For the massive difference, the Chrome OS isn’t lacking that much. The Acer also features 16 or 32GB of storage and a 2 or 4GB RAM hard drive – similar to that of the HP Chromebook 14 G4. 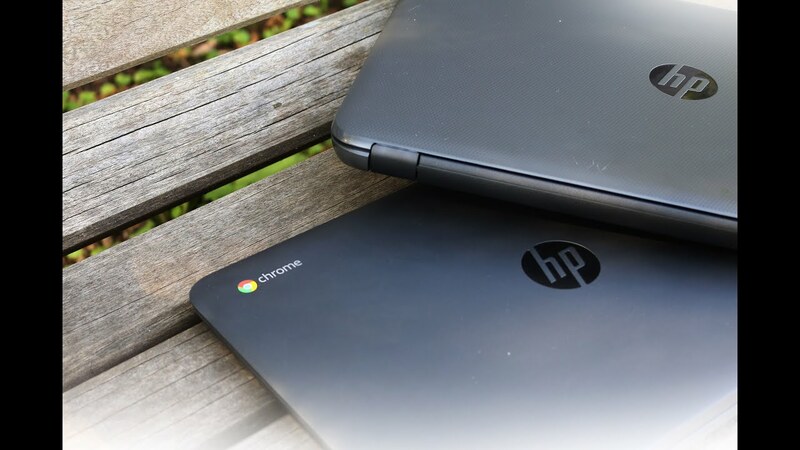 This Chromebook can run for up to 9.5 hours, as always based on usage, beating out the HP’s 8 hours. Therefore this device is more portable and can theoretically last longer than its counterpart. Being a convertible Chromebook the touch screen allows for similar usage to the Microsoft Surface. Though this is where the Chrome OS is notably less powerful, as the professional programs, such as Adobe, are likely to run slower. The trackpad for the mouse has been noted to be less responsive than liked and so this could be a downside to the Acer R11, as in a busy seminar you may need faster responses whilst trying to keep up. Over all however, the small, multifunctional device has a lot to offer. 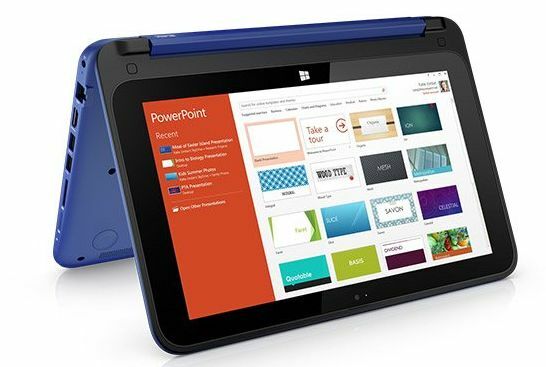 Its versatility allows for use as both a tablet and laptop, making it a fantastic device for any student. The ASUS is another 11.6 inch notebook device that comes in at around £188.49 from an ASUS dealer. Meaning this is our cheapest laptop in review. This small device has another sleek and stylish finish. It’s lightweight and therefore easily portable. Another device that can be popped into your everyday bag with ease. With only 2GB RAM and 32GB storage, it is fairly lacking in memory. But as with the HP, there are plenty of options for external and online storage that can combat this. The keyboard and trackpad are responsive. And whilst it hasn’t been tested when writing out a 10,000 word dissertation, it implies that it will get the job done. The ASUS features a webcam, though this isn’t anything to particularly rave about. That being said, it does the job for video calling purposes. That being said for any student just after a device that accesses the internet, allows Microsoft (or equivalent) programs and has a passable display, this ASUS is still in the running. For all its apparent ‘faults’, for the price, the ASUS Vivobook E200HA is a great and simple laptop for a university student. Any other usages and it may become more of a hindrance, however for the sole purpose of study, it’s a great little device. At £249 the HP Stream is a colourful, fun and flexible device. With its 11.6 inch screen, this is another very portable machine. It may not be as sleek and stylish as the other devices listed, but its bright colourful design is fun and makes it hard to lose in a student room. The Stream is yet another device with 32GB storage and 2GB RAM, so this is not the powerful, standalone business laptop. However, for a student submitting documents, media files and presentations, this device will definitely do the job. This device is also the idea travel laptop as it can come with a 3G bundle, meaning internet can work at any decent hotspot. This could mean this laptop can see you through both university and your post uni world travels. The DataPass that allows 3G roaming also comes with 200MB of free data per month. The user can apply and pay for larger data plans however, should they choose to do so. It has all the standard ports; HDMI, 2 USB ports, an SD Card slot, a SIM Card slot and headphone jack. This makes the HP Stream very suitable for essay writing and transferring. This device’s 2 in 1 features mean it can be used not only as a functional laptop and tablet, but also can be its own stand for those all-important series binge sessions. Whilst it is a flexible device, it’s also fairly hard-wearing and isn’t too easily damaged (though don’t try throwing it around too much). 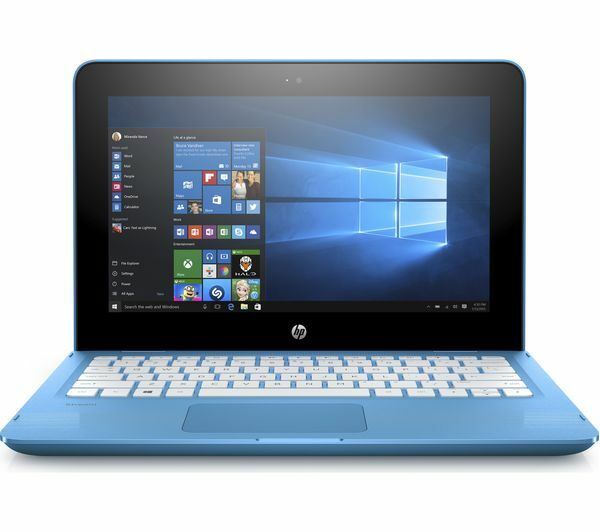 The HP Stream has a 10 point touch screen for easy accessibility and again adding to that ‘tablet’ side of the device. The device, once turned into tablet mode (180 degrees rotation) will automatically lock the physical keyboard and bring an on-screen touch keyboard into action. The colour and resolution aren’t the best. With a 1366 x 768 retina display, it’s tied with the ASUS Vivobook for resolution. The screen, like many laptops, may be compromised when working by a window or in direct sunlight. However, not many lecture halls I’ve ever known have large windows to be concerned about. There is, as with the other devices, an integrated webcam, though this also isn’t a webcam worth raving about. That being said, as a laptop with a travel purpose, it’s a positive that it still has one. The Stream boast up to 11 hours battery (as always, not guaranteed) and so isn’t the worst of our 5 laptops in terms of life. This isn’t the best device and there will be many other, more expensive counterparts HP have to offer. However for the price and for a university laptop, the HP Stream x360 does a fine job in a fun way. There are clearly many other laptops and devices out there, suitable for university use. But for the minimal price of these devices, I feel they’re a good choice for anyone on a budget. And current student looking for a new laptop will understand what that’s like!